What Are Gatzolles, Trinxets, Ganivets, Porquers And Talós? 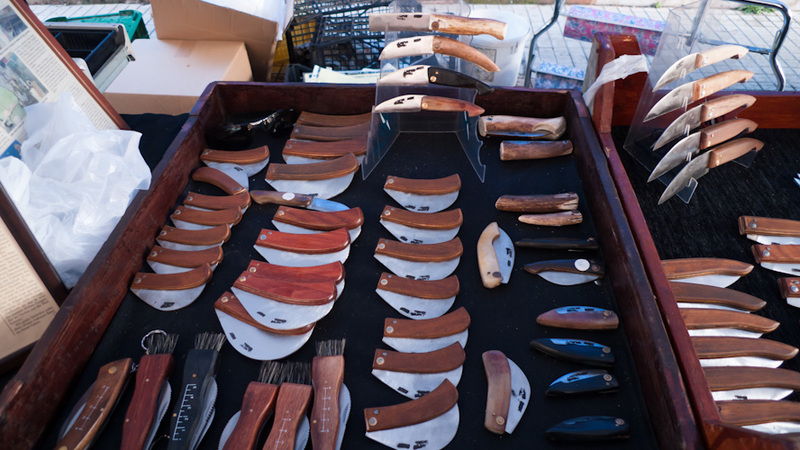 Gatzolles, Trinxets, Ganivets, Porquers, Etxurats and Talós are the names for some of the traditional Mallorcan peasant pocket knives. You will not find a single Pagès on the island who would not carry one of those traditional knives on him, or an assortment of them, depending on the task in hand. Traditional country folks in Mallorca always have a job to do, be that hunting, fishing, vine grafting, sheep or goat herding, harvesting, what have you. For such tasks and similar jobs, you need at times a sharp knife and you better have one on you, just in case. 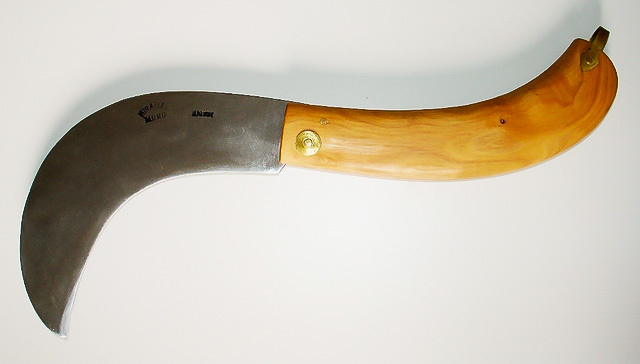 The typical Mallorcan pocket knife comes either with a wooden handle, often in Ullastre, the Wild Olive tree, or in goat horn finish. 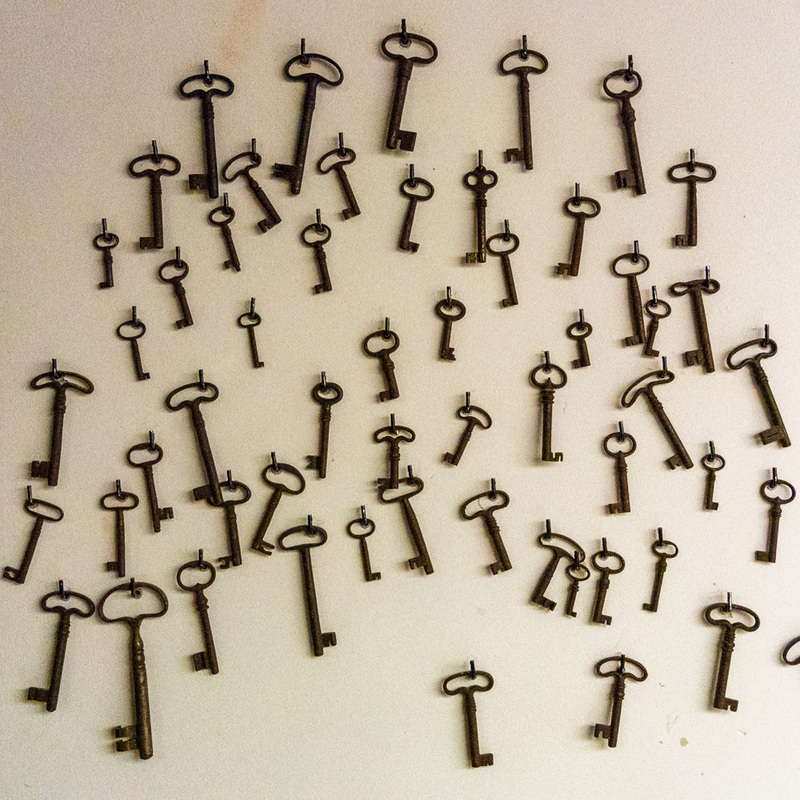 Prices range from 9 € to 45 €, depending on size, type and finish. I know of three reputable knife makers on the island, Ordinas in Llucmajor, Joan Campins in Consell (see photo top), and Miralles in Muro (see photo bottom), all of them producing the trusted pocket knives in stainless steel, beautifully hand-crafted. The photo (top) was taken in Campos, Mallorca, Baleares, Spain. The date: May 6th, 2012. The time was 13:00:51. The photo (bottom) was borrowed from the Internet, courtesy of flickr.com and artesaniademenorca. Those are beautifully crafted knives and I could do with one around my garden. Thanks for the daily blog, I love Mallorca and am trying to learn the language one step at a time. You write well and I love the photography. My name is Joan Campins and just now I’ve seen the picture of my handmade knifes in your post. Thank you very much for publishing the work of artisans of Mallorca, that we do as it has been done for centuries.